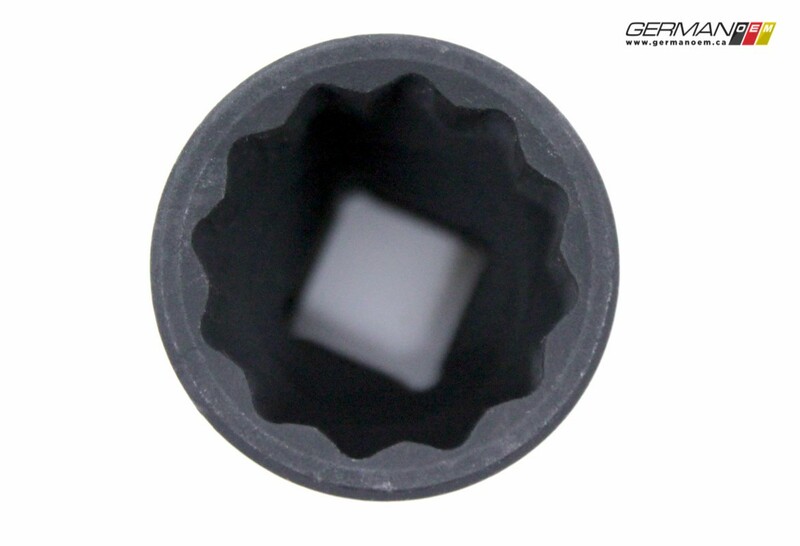 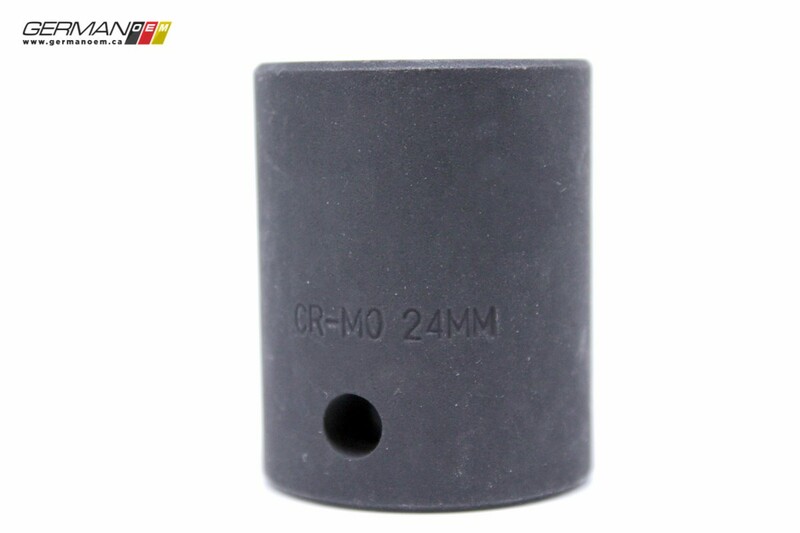 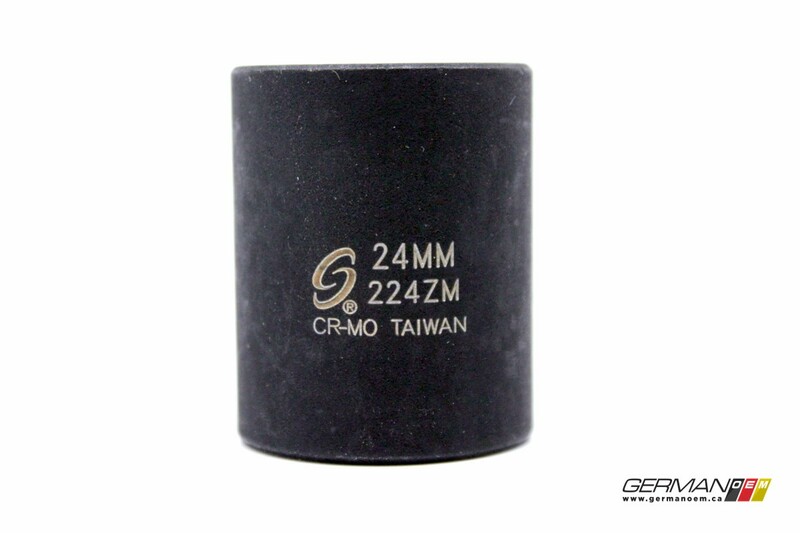 This heavy duty impact grade 24mm 12-point socket can be used to remove the centre bolt holding the timing crank sprocket on most Volkswagen and Audi 6 cylinder timing belt type engines. 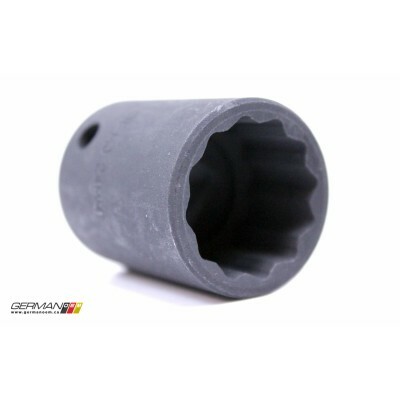 Also fits inside the NuYank Crank Counterhold Tool (with 6 cylinder option) which aids in replacing front main crank seals. 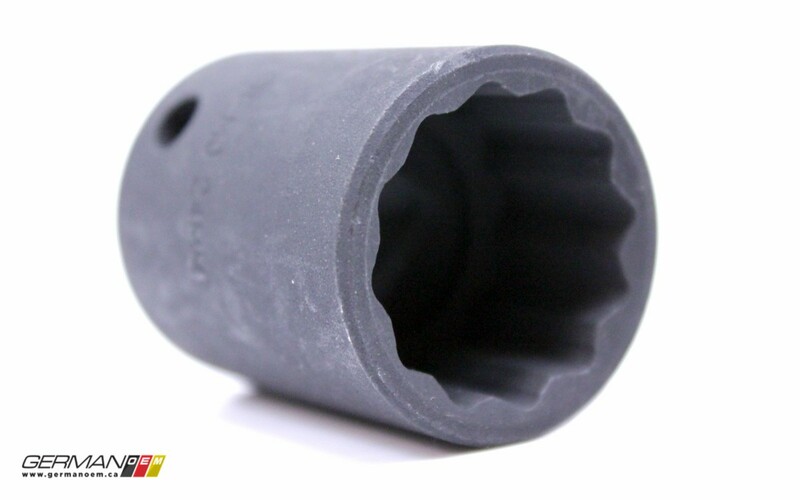 Socket can also be used to remove the 12-point front axle bolt used on many Volkswagen and Audi models starting in 2006. 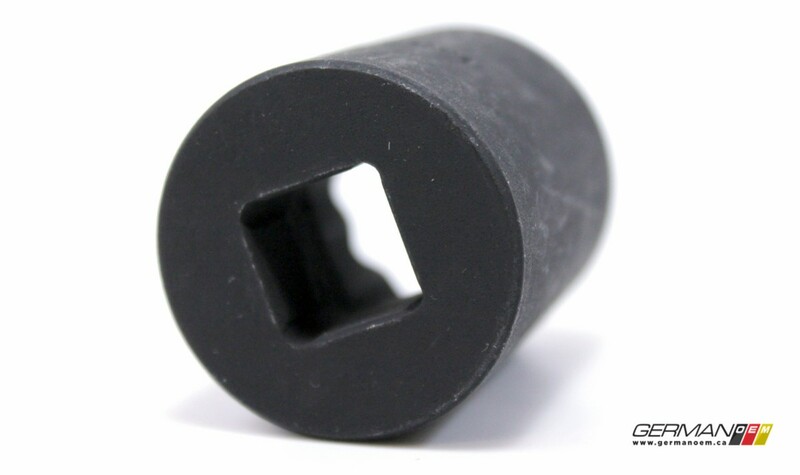 Utilizes a ½” square drive.